Long-time civic leader and local businesswoman Virginia Kilpatrick Shehee has died. Shehee, 91, passed away Monday, July 6, 2015, at University Health hospital in Shreveport after a lengthy illness. 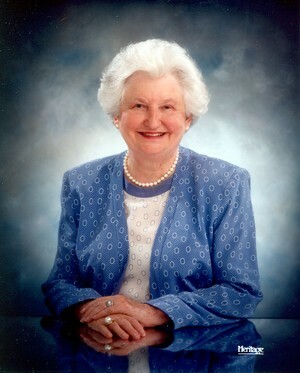 Virginia Kilpatrick Shehee was born on July 12, 1923 in Houston, TX and became a prominent businesswoman, political activist and philanthropist in Northwest Louisiana. Shehee’s family owns Kilpatrick Life Insurance and Rose-Neath Funeral Homes, which were founded by her father in the 1930s. The Shehee family are also contributors to education, the arts and health care. Virginia Kilpatrick Shehee was married twice and is survived by three daughters, Ann Shane Shehee, Nell Elizabeth Shehee Kramer and Margaret Shehee Cole, and a son, Andrew Michael “Andy” Shehee. Funeral services are scheduled for 11 a.m. Friday (July 10) at St. Paul’s Episcopal Church on Southfield Road in Shreveport. Burial will follow at Forest Park Cemetery in Shreveport. Visitation is scheduled for 4 p.m. to 8 p.m. on Thursday (July 9) at Rose-Neath Funeral Home, 1815 Marshall Street.